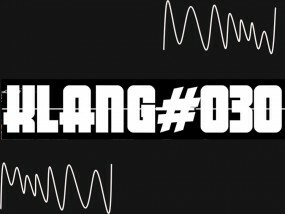 We are back to do the first Klang#030 of 2018, following with the collaborative radio reboot.fm. For this 10th edition we invited Miss Vergnügen for a interview and live music. She will play some ukulele versions of her songs and of one of her projects Señor Depressivo - Depressionen für Millionen. Miss Vergnügen is also a DJane of the classical bar Eschschloraque Rümschrümp, in Berlin-MItte, with a weekly project all Wednesdays.